OBSERVER Photo by M.J. Stafford This is an artist's rendering of what the new Brooks Memorial Hospital on East Main Street in Fredonia will look like. Vehicular traffic — both land and aerial — is shaping up as a big concern surrounding Brooks-TLC Health System’s decision to build a new hospital on East Main Street in Fredonia. Much of the Fredonia Planning Board’s workshop Friday, held so members could discuss Brooks-TLC’s plan, focused on how automobiles would get in and out of the facility and how it would affect traffic patterns in the area. There were also questions and concerns on how helicopters will access the helipad planned for the east side of the campus. Joe Hanss of Clark Patterson Lee, project architects, reiterated that the 100,000-square foot, two-story hospital is slated to have outpatient services, including the emergency room, on the first floor, and inpatient beds on the second. He said the first floor will feature five operating rooms, spacious enough for whatever equipment needs come up in the future. The parking lot will have 263 parking spaces, including 32 intended for emergency room patients and 42 for hospital employees. “By moving the helipad back as far as we could, we were closer to the commercial properties on Route 60 rather than the residential properties on Route 20 (East Main Street),” said Marc Romanowski, an attorney retained by Brooks-TLC to work on the project. Planning Board member Dave Fridmann wondered how many flights Brooks-TLC expected per day. “We believe it’s going to be under one a day per average and probably that’s even a high estimate,” Romanowski said. Board members fired several questions at the Brooks-TLC representatives about automobile traffic volume. 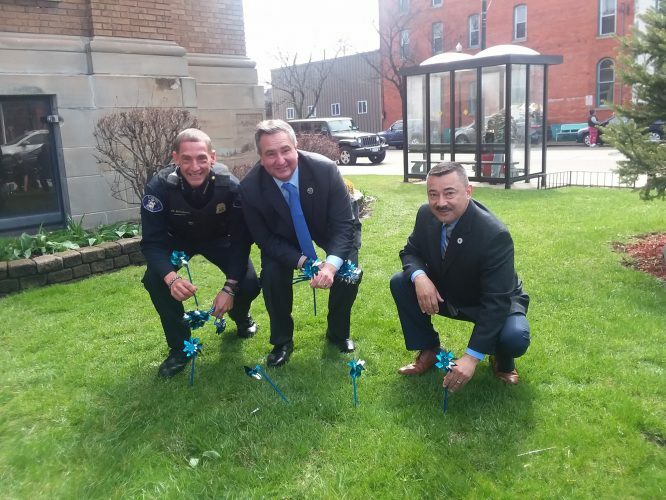 They acknowledged their traffic study showed left-hand turns out of both the hospital and nearby Fredonia Central School at peak traffic times could be problematic. “Certainly there are concerns over volume at peak hours on Route 20,” Romanowski said, adding project planners continue to work on those concerns with the school and the state Department of Transportation. He noted planners brought up the possibility of a traffic signal at the entrance, but DOT rejected it because it will be too close to its new roundabout at the intersection of Routes 20 and 60. Planning Board member Ron Sellers repeated a question many in the community are asking: why not put a second entrance on Route 60? 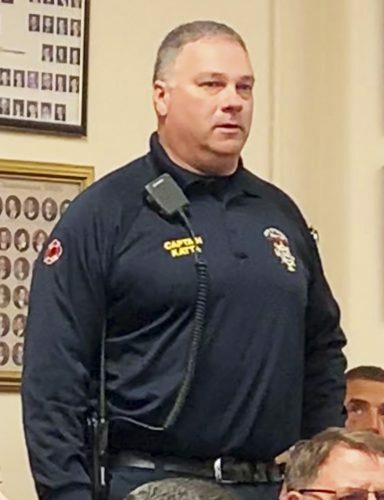 After more or less ruling it out in previous presentations to the Fredonia Village Board and the Chautauqua County Planning Board, Romanowski sounded more open to that on Friday. He said project planners will look at whether that would actually alleviate traffic volume problems on Route 20, and if so, whether it was feasible to build such an entrance. ¯ Romanowski revealed some details about the intended time frame of the project. He said the bulk of 2019 will be for site work: excavations, grading and the like. 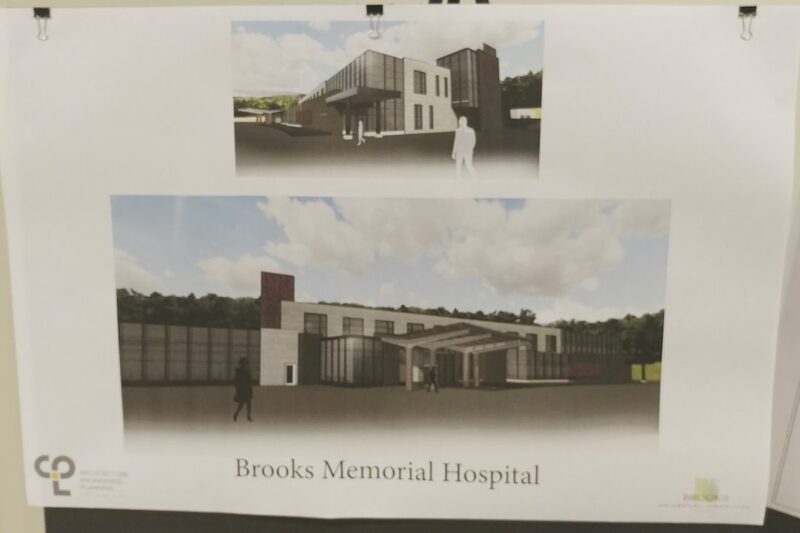 Brooks-TLC wants to get the “core and shell” of the hospital erected by mid-2020, with indoor work taking place the rest of the year. “There will be one last push at the end when they do roadways and final grading,” Romanowski said. If all goes well, Brooks-TLC would fully occupy the new hospital sometime in the first quarter of 2021. ¯ Sellers expressed concerns about the size of the emergency room waiting area. “Fourteen seats and a small registration place. That looks small to me,” he said. He wondered if there would be alternate places to sit, such as outdoor seating in summer. Hanss said there would be a courtyard accessible to the public and Romanowski said there will be several other areas inside the building where people can wait for patients. ¯ Hanss said project planners are hopeful, but not completely sure they will be able to restore the dilapidated barn at the front of the property on East Main Street. 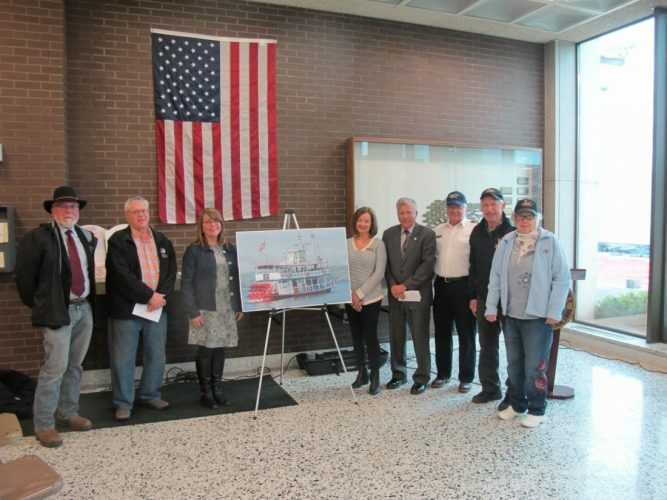 “If we can restore it to the point where we can use it for maintenance equipment (storage), it would serve well for us,” he said. If that won’t work, a new building will be erected on the other side of the property for equipment storage. ¯ Signage for the hospital is still under consideration. Other than a sign on the hospital itself, “There’s probably going to be a ground-sign-type feature out on 20 and that’s probably about it,” Romanowski said. Mackay said the board won’t decide on accepting the hospital plan at its Feb. 20 meeting. That is likely to happen at its March 19 session.